AMDA | AMDA News - The Latest Issue of <em>AMDA Magazine</em> Has Arrived! The Winter 2016 edition of AMDA Magazine is now available online! 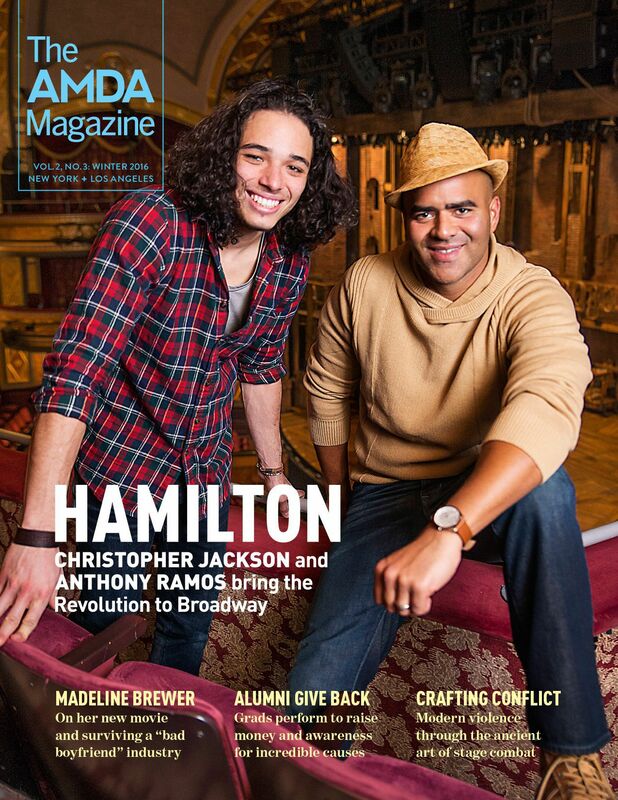 This issue features AMDA alumni who currently star in Broadway’s hit musical Hamilton. Merging hip-hop with history, Hamilton paints America’s founding figures in a modern light, offering audiences a new perspective on the men and women who pioneered a nation. In complement, the other stories revolve around alumni and faculty whose unique perspectives are bettering the industry while shattering personal boundaries. Over the past few months, alumni have performed for world peace, advocated animal rights in an international adoption campaign, supported local theatre programs and raised thousands of dollars for Broadway Cares/Equity Fights AIDS (Alumni Give Back). From starring in their first feature-length film (Madeline Brewer) to world premieres on both coasts (Chandra Lee Schwartz; Caissie Levy), our alumni tell their personal stories of finding success in an industry with greater opportunities for artists than ever before. Wherever you are on your artistic journey, we hope you enjoy the stories in this issue as a snapshot of the AMDA family.